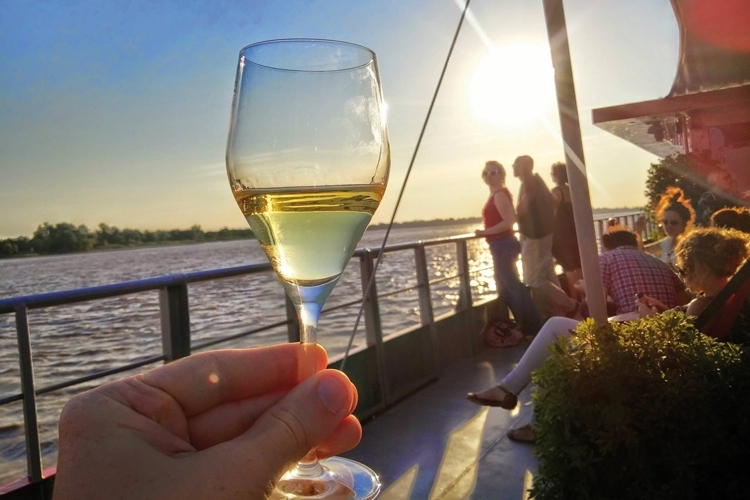 Enjoy an out-of-the-ordinary river cruise to discover Bordeaux and its world-class wines. 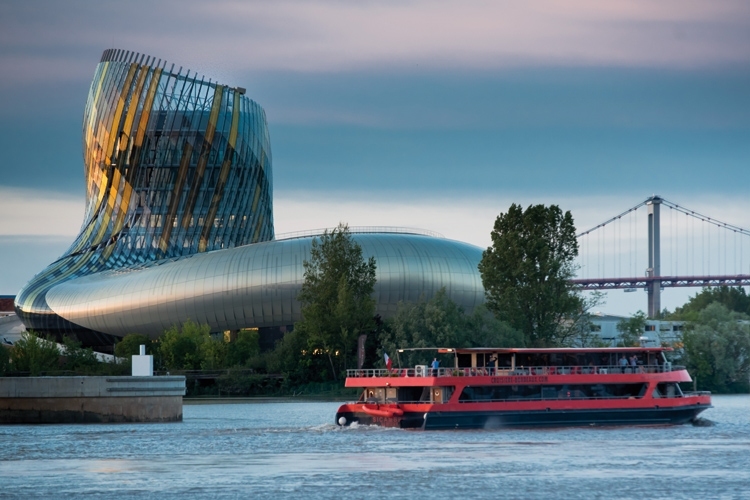 In the company of a guide-lecturer, tasting 2 wines representative of regional vineyards, while listening to the fascinating history of the Garonne River and the local wine trade are intimately linked. 16.30 Cruise by the 18th -century facades of the Port de la Lune, listed as a UNESCO World Heritage Site. Pass under the Pont Jacques Chaban-Delmas lift bridge, then the Pont d’Aquitaine. After the village of Lormont, discover the Bassens port zone. 18.00 Return to the quay.